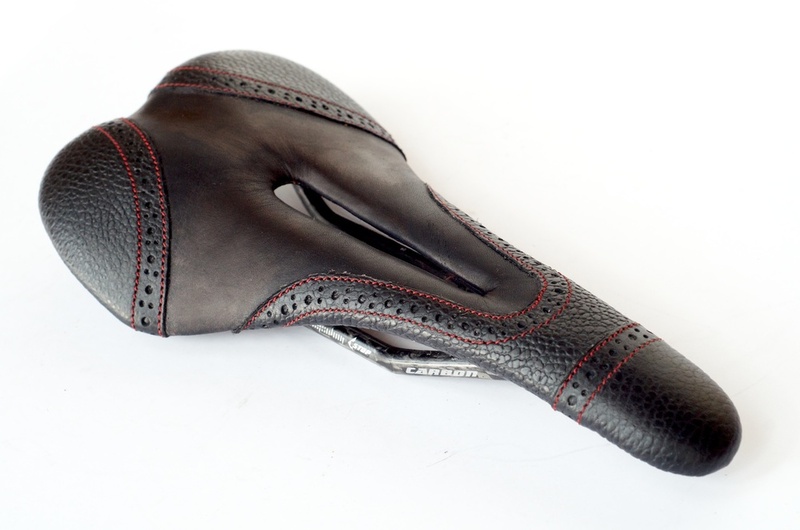 This Custom Fizik Antares Carbon 00 Saddle is a special project for Division One Cycles in Austin Texas. They asked to push the limits and design a Mondrian style saddle and bar wrap for a Look 695 Mondrian theme bike. 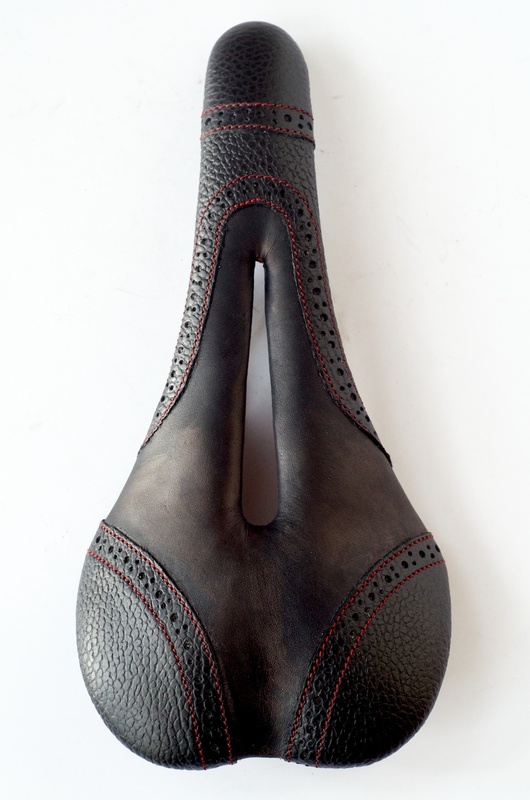 The saddle and bar wrap where made in beautiful full aniline european Diablo leather. 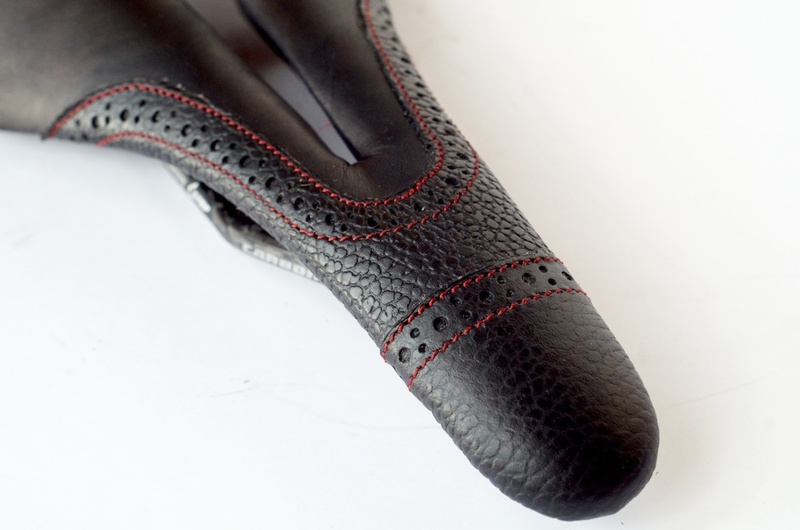 The set features a highly detailed hand punch pattern with colored underlay with quad color stitching. 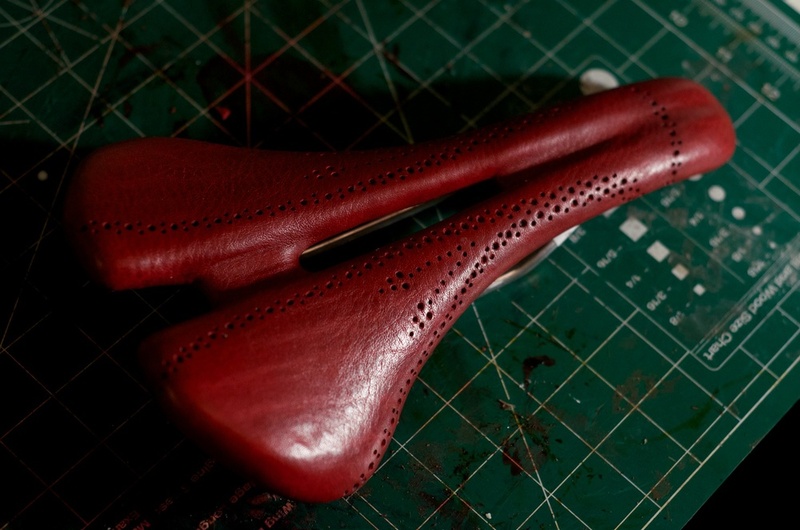 This Tree Bike Co. Ergo Fat pivotal BMX seat was custom recovered using genuine crocodile belly. The rear features rust wax cotton thread baseball stitching and parallel stitching on nose. Here's a little variation I did for a customer. 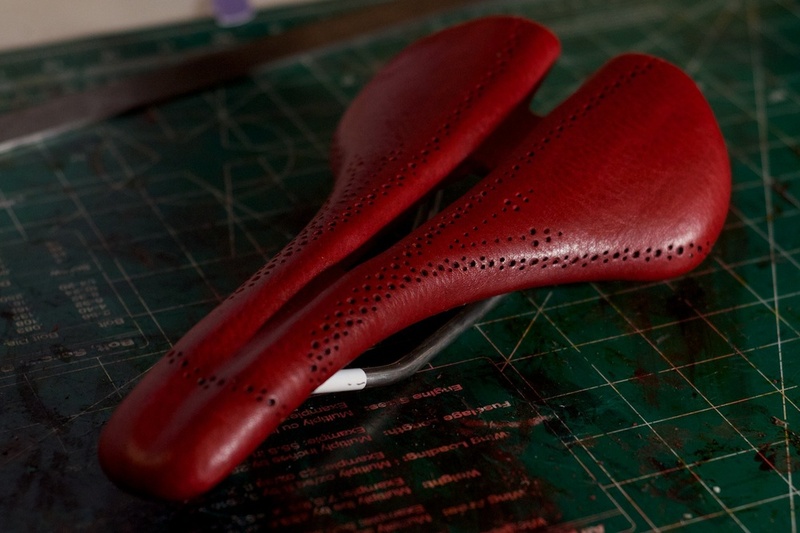 Taking the design from the Round Back race and placing it on the Delta Top Race saddle it features red leather with black stitching.